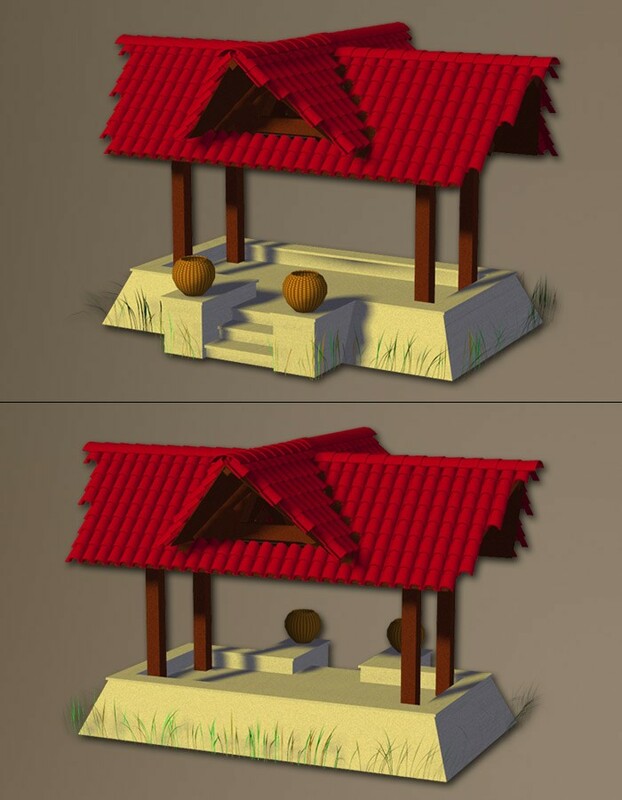 This little meadow shrine is the perfect place to put an altar for worship, or a day bed for cool summer naps. 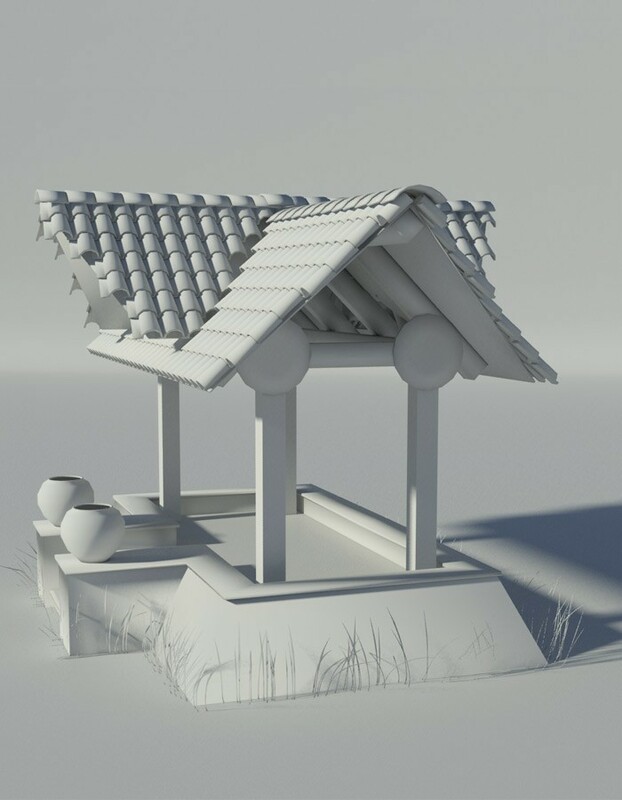 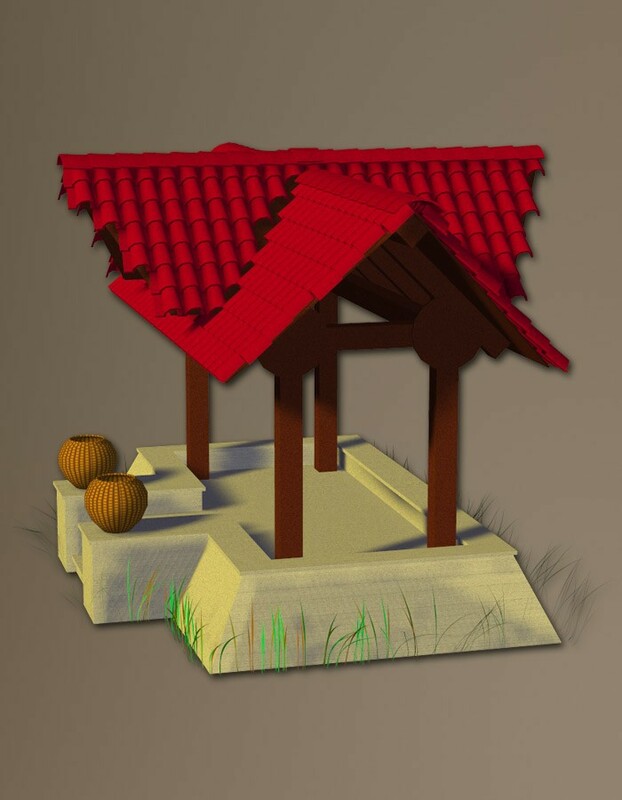 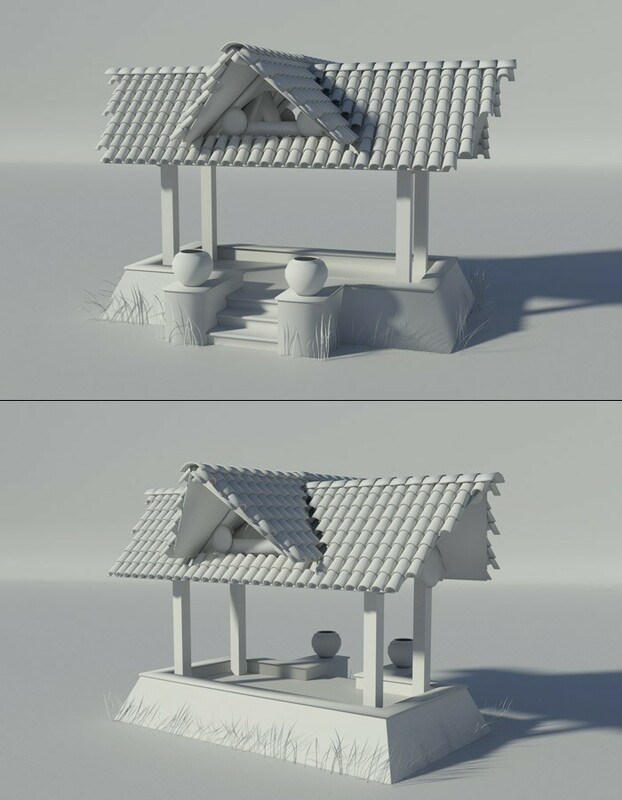 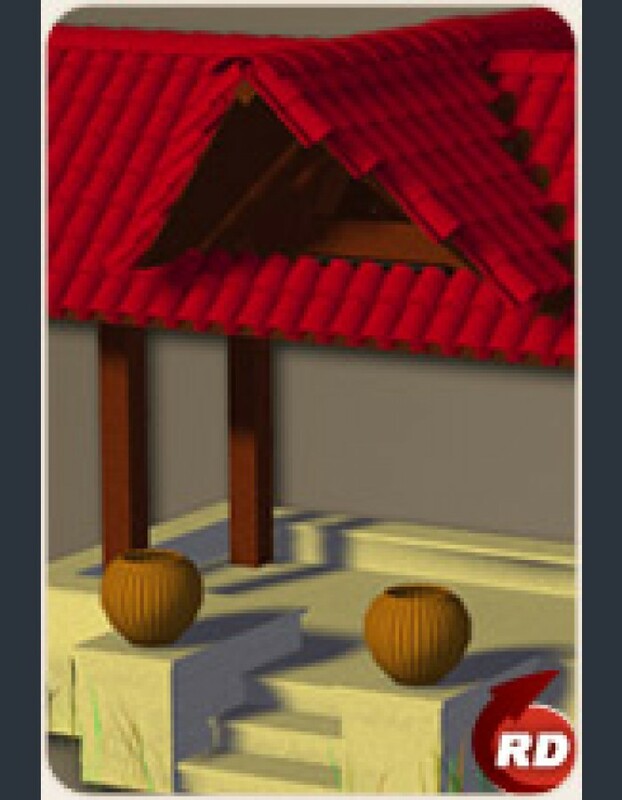 The sturdy stone foundation is topped by a wooden roof with individually modeled clay tiles. This shrine will look great in any fantasy setting!